The success of New Trend Corporation isn’t a typical entrepreneur story. It was a labour of love, after the sudden death of his brother, and acknowledging the automotive downturn that encouraged President Joe Pozeg to leave his career in tool and die and create an innovative product for the outdoor living industry. After a family vacation, it was then that Mr. Pozeg created the, now patented, “Fencert”, a maintenance-free steel ornamental insert for fencing. 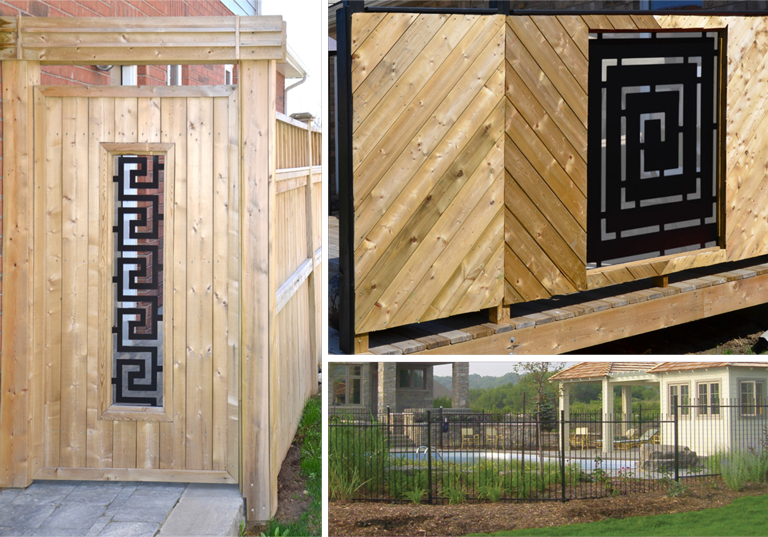 The ‘Fencert’ provides homeowners the ability to create unique designs to accentuate the décor of their outdoor environment. This idea transformed the fencing industry and Joe’s business took flight. With many trials and tribulations along the way, New Trend Corporation employs a professional staff with over 35 years of combined metal fencing experience. You describe what you want, and they will deliver! Pozeg’s positive outlook on his business, his humourous personality, and trustworthiness are all contributors to the success of his business. He is a networker who has created valuable relationships and takes no opportunity for granted. New Trend Fencerts has been featured regularly on the HGTV shows ‘Decked Out’ and ‘Disaster Decks’ with Paul Lafrance. New Trend supports students who are interested in working in the outdoor living trade industry. Please contact our office to find out more about positions available.